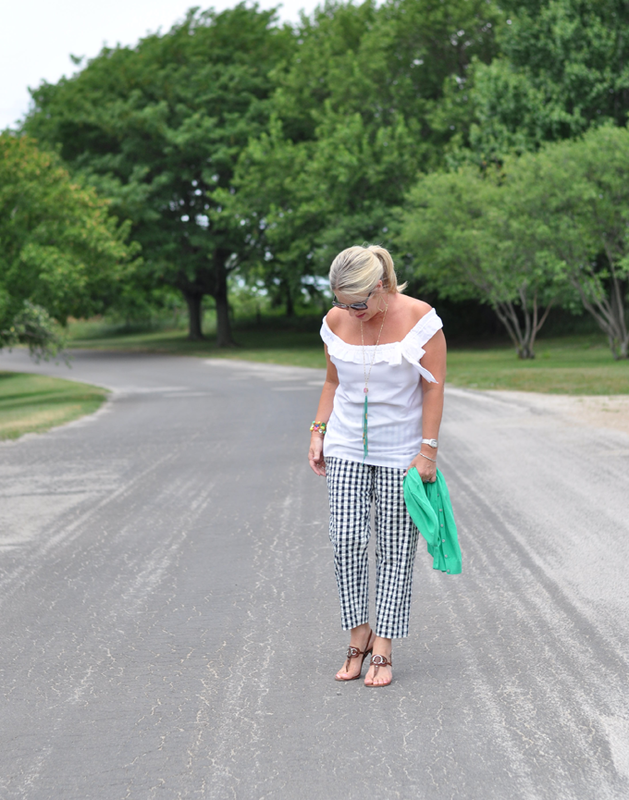 Sharing today another successful shop my closet outfit with you. 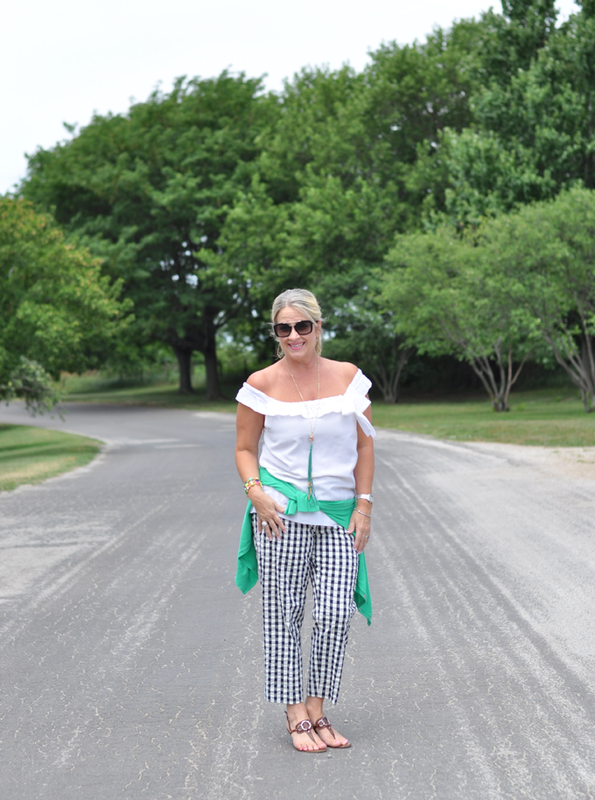 These gingham pants are a favorite of mine. 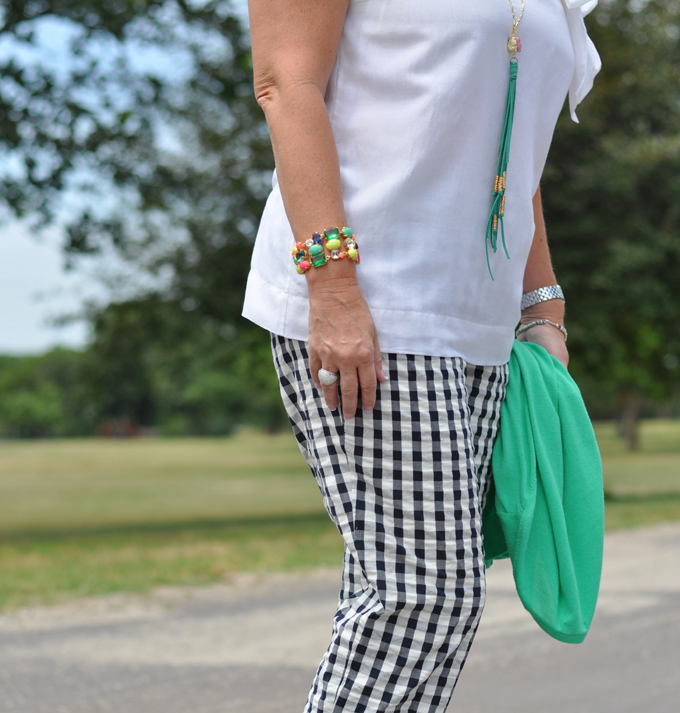 You know I love gingham!! 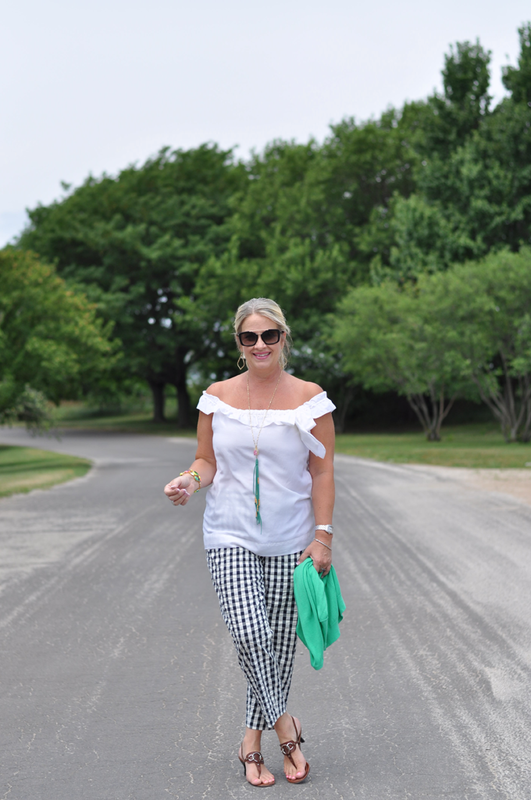 As I was pulling items for my upcoming trip to Palm Beach I came across this off the shoulder top. I actually forgot about it. 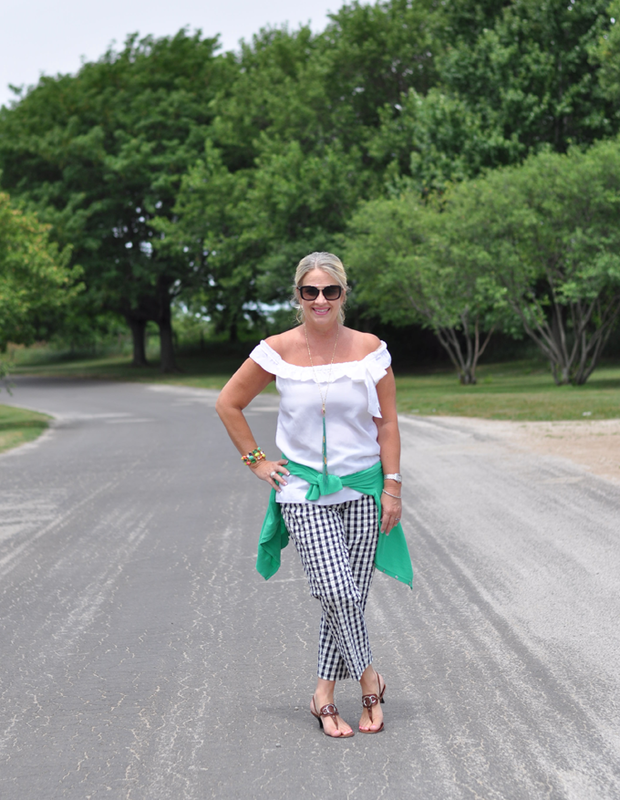 I have had it a few years and the shoulders can be worn up or down. I like that it is versatile. I paired this outfit up with a colorful cardigan. You an never have enough cardigans for a pop of color or light layering. This holiday weekend we are expecting thunderstorms off and on. I feel bad for everyone who may have plans to go to the lake, or attend a big fireworks display. Hopefully the weather will hold off and only bring mild temperatures! Fingers crossed! What plan do you have to celebrate the fourth of July? Do you celebrate with fireworks, or do you prefer to just watch them? I was more daring when I was younger and didn't mind setting some off, but now I am pretty content watching a display, or some simple sparklers and snakes for the grandkids! We get to enjoy a few spectacular shows from our deck which makes it that much nicer.